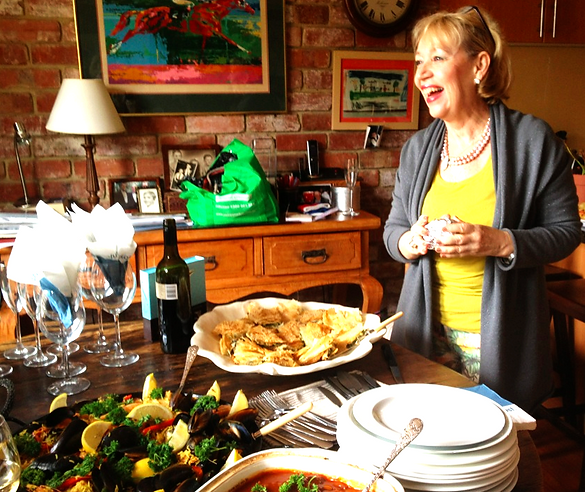 Before being a restaurant consultant, Christine was a professional chef in Queensland, Melbourne and now Hobart, and moved freely from teaching and being a literacy specialist (with 3 books published by Oxford University Press) to having a long and successful career as a restaurateur. She was owner/chef of 10 successful restaurants in Brisbane and on Queensland’s Sunshine Coast, for 25 years, including her iconic Possum’s Australian Food in New Farm and the Tiger Garden Restaurant in the Singapore Pavilion at Expo 88. Her restaurants have been written up in Australia, and also in the USA – San Francisco, Los Angeles, San Diego and Detroit. No small feat! “Christine Matheson-Green is a lady who knows good food and the food industry. 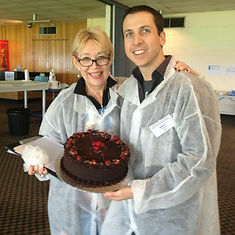 As a restaurant consultant, she knows the business – inside and out.” David Bray, The Courier Mail Newspaper Food Critic. Her extensive experience in designing, setting up and managing so many unique and clever food destinations, including two cooking schools, gives her the edge in helping you with your food and business goals. For the last few years, Christine has worked as a judge at the Royal Hobart Show Fine Food Awards, and is currently finishing her novel, based on a true story, called Cooks, Thieves and Rogues. From initial concept, kitchen and area design, uniforms and menus, right through to launch and beyond, Christine, your restaurant consultant and her staff will ensure your brand is maximum geared for impact, smooth delivery and longevity. Marketing your brand is a fine skill that our consulting process offers to ensure you have the coverage, profile and brand awareness that is key to success in today’s dynamic business world. As a master wordsmith, Christine is a restaurant consultant who also brings the impact to your marketing documents that make sure they do their job. Leverage the knowledge and experience we have to make sure your dream morphs into a successful business. Whether you want a full blown delivery, or simply another take on your plan with a couple of brainstorming sessions, Christine can give you the edge. “Highly recommend a visit, a beacon of innovation and style.” Johnny Walker’s Dining Out in Australia Guide. The Front Page Room, Journalists’ Club, Brisbane. “Christine is a lady who knows good food and the food business.” Dining Out with David Bray, “Cooking School provides gourmet chefs for home”, Time Off. “Fair Dinkum, Possums, the tucker is tops” Restaurants by Ken Lord, “Possums is just one of the treats in store for visitors to Brisbane during Expo 88,” San Francisco Examiner. “Possums tucker takes off”, The Sun Newspaper. “A real treat for tourists”, Los Angeles Times. “Chris, a former primary school teacher, publicity agent and business manager has had vast experience as a restaurateur and Queensland cook.” Courier Mail. ” A super new cooking school is happening at Fig Tree Pocket.” Ken Lord’s A La Carte, Sunday Mail. “The Singapore Restaurant run by Christine (whose restaurant “Possums” restaurant in New Farm is the ultimate Aussie place), offers good basic food.” Food Magazine. This was a massive appointment where I dealt daily with the Singapore government, Expo top Officials, and the council. “Get Ready for an amazing experience…. 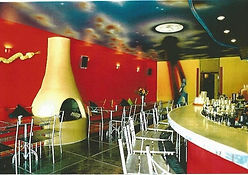 a fantastic range of dishes to really get your mouth watering.” Roundabout Magazine, Sunshine Coast. “A magical mixture of food and design.” Let’s Eat Guide, Sunshine Coast Daily. Christine was Master Chef, brand and recipe development manager for this innovative group of fresh retail stores. Now it was Christine’s turn to review restaurants, cafes, hotels and tourist experiences. As a former literary specialist, her sharp eye and engaging articles made the Hub the biggest successful community newspaper ever in Tasmania, with a circulation of over 43,000. 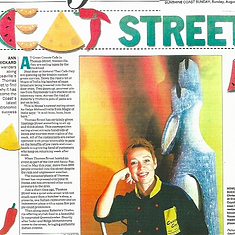 1998: Nominated in the Queensland Telstra Businesswoman of the year awards. 2009: Finalist in the Hobart TCCI Business Manager of the Year Awards. 2009: Script for “The Village” shortlisted in the Dungog Raw Awards.